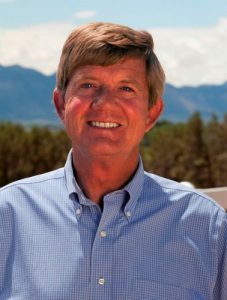 Republican U.S. Rep. Scott Tipton easily won reelection in the 3rd Congressional District over Diane Mitsch Bush with 52 percent to her 43 percent. He’s the bright beacon of light in an otherwise dark night for many Republican candidates. Bush, a Steamboat Springs Democrat and former state representative, failed her party’s expectations that the Western Slope might be easy pickings. That’s because ramping up the hate and attempts to tie Tipton to Trump don’t really work among hard-core westerners, especially considering Trump came out swinging in defense of Western issues about three minutes after he took office. Sadly, the hate vote carried in the 6th District where Mike Coffman lost his seat to Democrat Jason Crow. Out of Colorado’s seven congressional districts, Democrats now have the majority here with four seats. By all accounts, it looks like the Democrats will also control the U.S. House.